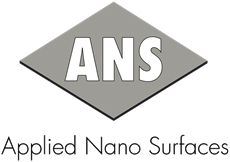 At ANS, we are working with the major auto brands and our customer base is expanding both in Europe and North America. As the USA is a key market for us, we are setting up a local sales company in the USA. It is the right time for us to further strengthening our presence in North America and we are now recruiting a Key Account Manager. ANS will be attending the Tribology Days 2014 in Gothenburg, Sweden, 15-16th of October. The event is organized by Luleå University of Technology, Sweden, in association with the Swedish Tribology Group, and hosted by SKF AB. The emphasis on the event is to present the latest news in Swedish tribology research. Mikael Berg, Development Engineer from Applied Nano Surfaces will hold a joint presentation with Kjell Jansson, Senior Application Engineer from KmK-intrument about quality control of Triboconditioned® surfaces; “Use of area-integrating light scattering and X-ray fluorescence spectroscopy for surface condition monitoring in a mechanochemical surface finishing process”. Zlate Dimkovski from Halmstad University will present results from a joint project with ANS, Scania, Gnutti Carlo Sweden AB and Halmstad Univerity. The title of the presentation is “Process Optimization of Low Friction Surfaces in Pin-Roller Contacts”.